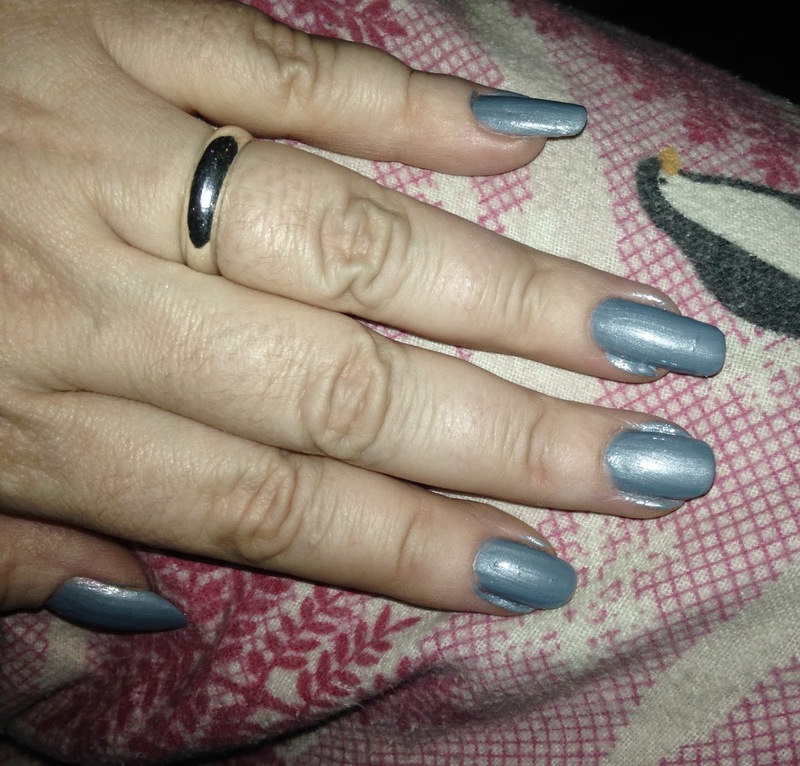 Apply base coat to the nail. Let dry. 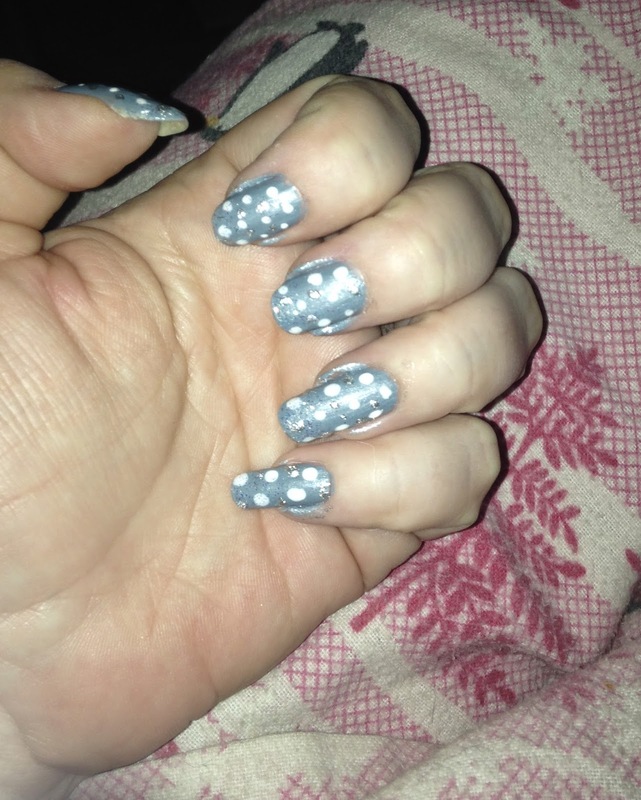 Apply a shimmery blue nail polish to the nail, you might need 2 coats to increase the opacity. 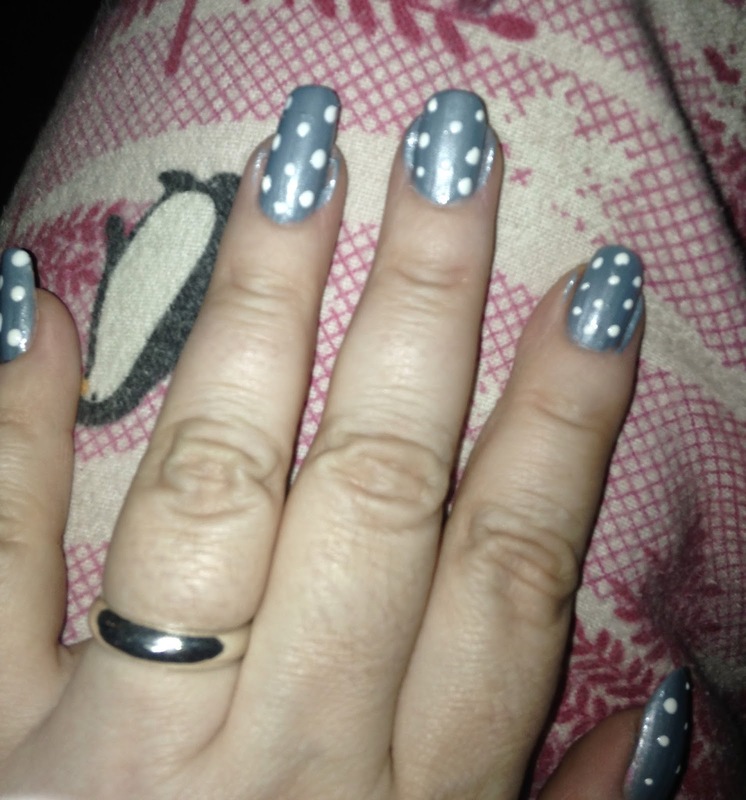 Using a dotting tool dipped in white nail polish, make small and large dots on the nail. 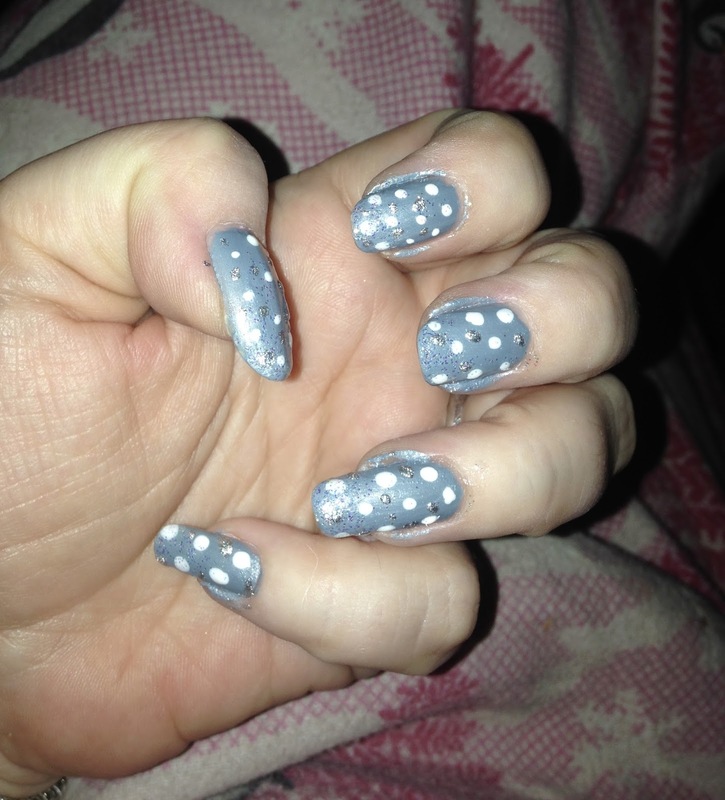 Using a silver glittery polish, apply dots in between the white dots. Finish off by applying your favorite top coat to seal in your design.